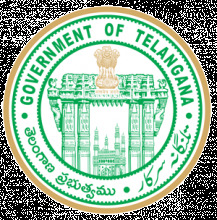 About: Telangana State Law Common Entrance Test is commonly known as TS LAWCET. It is conducted by Convener, Osmania University Hyderabad, on behalf of the Telangana State Council of Higher Education (TSCHE), for granting admission to LLB and LLM courses in law colleges in Telangana. Level: TS LAWCET is a state level entrance exam. Candidates can get admission in government as well as private universities and colleges of law in Telangana. Frequency: It is conducted once every year by Osmania University, on behalf of the TSCHE. 5-year regular courses: BA LLB and BBA LLB. Registration: The TS LAWCET 2019 Application form was available from 15th March 2019. The application form will be available on the official website of TSCHE till 25th April 2019. Admit Card: The admit card can be downloaded from the official website on 17th May 2019. Exam Date: The exam is scheduled to be held on 20th May 2019. Due care has been taken to avoid clashing with Telangana exams and Telangana intermediate exam 2019. Result Date: The result is going to be out by 2nd June 2019, on the official website. Counselling Date: Candidates who have qualified and ranked in the final result list, are eligible for 2019 counselling. The date of 2019 counselling is expected to start from 20th June 2019 and will go on in multiple rounds, till all the seats are filled. Know all the TS LAWCET 2019 Important Dates. Nationality and Domicile: The applicant should be an Indian National. The candidate must also satisfy the local/ unreserved status requirement of the Telangana State. Age Limit: There is no age limit to apply for the exam according to the rules of the Bar Council of India (BCI). For 3-year LLB course: The candidate should have completed Graduate Degree or its equivalent, with 45% of aggregate marks from any recognized University. For 5-year LLB course: The candidate should have passed Telangana Intermediate Exam or equivalent, with 45% of aggregate marks, from any recognized University or Board. Final Year: Candidates appearing for final year examination of LLB/ BL 3/ 5 Year degree in 2019 are also eligible to apply. Minimum marks in Entrance Exam: Candidates must secure at least 35% marks in TS LAWCET 2019 (42 out of 120). There is no relaxation of marks for SC/ST categories in this case. Get more information about TS LAWCET 2019 Eligibility Criteria. Registration: The candidates can now fill the application form on the official website at lawcet.tsche.ac.in The last date to apply for the exam is 25th April 2019. Application Fee: The registration fee for general category candidates is INR 800 and for reserved category candidates is INR 500. Payment Mode: Payment can be made through Credit Card, Debit Card, Internet Banking and or by visiting TSOnline/ APOnline Centers. Get the step by step guidelines to TS LAWCET 2019 Application Process. Selection: Candidates can preferably choose an exam centre which is nearby and convenient for them, while filling the details on the online Application Form. Changes: It must be noted that the request for a change of exam centre will not be accepted after the submission of the application form. ID Proof: Applicants must carry a valid ID proof along with the Admit Card for identity verification. Entry without ID proof will be prohibited. Get the list of TS LAWCET 2019 Exam Centres and their location to be held in 16 cities in 2 different states. Question Type: The question paper will contain Objective Type/ Multiple Choice Questions (MCQs). Candidates are advised to check TS LAWCET 2019 Exam Pattern for further details. Availability: The admit card will be available from 17th May 2019. Download: Candidates can download the admit card from the official website. Credentials: Candidates will have to enter their Application Number and Date of Birth in order to download the Admit Card from the online portal. Get the instruction to download TS LAWCET 2019 Admit Card. Topics: The syllabus includes different topics under General Knowledge, Mental Ability, Current Affairs and Aptitude for the Study of Law. Reference Books: In order to score high in this entrance exam, candidates are advised to go through the Reference Books, covering the complete syllabus. Level: The questions will be up to the level of class 11th & 12th. Duration: Total number of questions will be 120 and the duration of the test is 90 minutes. Maximum marks are 120. Get the complete TS LAWCET 2019 Syllabus as prescribed by TSCHE. Result Declaration: Candidates will be able to check results from the official website of TSCHE from 2nd June 2019. Minimum Marks: The candidates need to score minimum marks of 35% or 42 out of 120 marks to be ranked / qualified to seek admissions through TS LAWCET 2019. This is different from the cut-off marks. Rank: The rank obtained by the candidate in TS LAWCET 2019 Result will be valid for taking admission in 3-years/ 5-year LLB programmes in law colleges of Telangana. Counselling: The qualified candidate can attend the next process of counselling to get the admission. Counselling Process: Like most other Telangana exams, the candidates will be shortlisted by Telangana State Council of Higher Education after the declaration of the result and will be called for TS LAWCET 2019 Counselling. Merit-Based: The candidate will be strictly selected based on merit score or rank secured in the TS LAWCET 2019 Exam. Counselling Mode: The 2019 counselling will be conducted only in online mode. Address: Prof. G. B. Reddy Convener, TS LAWCET - 2019, University College Of Law, Osmania University Campus, Tarnaka, Hyderabad, Pincode - 500 007, Telangana, India. Availability: TS LAWCET Application Form is available from 15th March 2019. Last Date to apply for TS LAWCET (Without Penalty) is 15th April 2019 and the Last Date to apply for TS LAWCET (With Penalty): INR 500 by 25th April 2019; INR 1000 by 7th May 2019; INR 2000 by 12th May 2019; INR 4000 by 16th May 2019. Exam Date: TS LAWCET 2019 Exam date is 20th May 2019. Counselling: TS LAWCET 2019 Counselling will be in the month of July 2019. For Admission to 3-year LLB Course: Candidates who wish to appear for TS LAWCET 2019 should be Indian Nationals and should satisfy local/non-local status requirements as per the Andhra Government regulations. Candidates must have cleared the graduate degree examinations of a 3-year course (10+2+3 pattern) from any recognized university with a minimum of 45% aggregate marks (40% for SC/ST categories). For Admission to 5-year LLB Course: Candidates who wish to appear for TS LAWCET 2019 and gain admission for the 5-year LLB course must have cleared the Higher Secondary Certificate Examination (10+2 level) from any recognized board/council with a minimum of 45% aggregate marks (40% for SC/ST categories). For Candidates Appearing for TS PGLCET 2019 (2-year LLM Course): Candidates who possess LLB or BA LLB degree (3 or 5 years) are eligible to apply for TS PGLCET 2019. Candidates who have appeared or are appearing for LLB or BA LLB final year examinations in the same year are also eligible to take up TS PGLCET. Candidates can appear for TS PGLCET 2019 if they are still expecting their final year results, however, they should have passed the same before the counselling dates. Application: Candidates can fill the application form online on the official website of TS LAWCET. Documents: Candidates must keep necessary images/documents ready before they start filling in the TS LAWCET 2019 application form. After filling the application form candidates must upload their Photograph along with the Digital Signature and any other documents. Submit: After uploading all the details click on submit. Download: An online copy of the TS LAWCET 2019 application form will be generated, which candidates must download and print out, to be kept for reference until the admission procedures are completed. Counselling: Candidates are required to get their original documents during the time of Counselling. Only Online mode: The TS LAWCET 2019 application process can be completed only in the online mode from the official TS LAWCET 2019 website. Discrepancies: If the candidates have any errors or discrepancies with regard to their TS LAWCET 2019 application forms, they can contact the authorities concerned and have the problem sorted. Application Fee: The application fee for TS LAWCET 2019 is INR 800 for general category candidates and INR 500 for SC/ST category candidates. The application fee for TS PGLCET 2019 is INR 1000 for general category candidates and INR 800 for SC/ST category candidates. Payment: Candidates can make the payment online via Credit/Debit Cards or via AP Online/TS Online. The TS LAWCET 2019 application fee once paid is non-refundable and non-transferrable under any circumstances. Information to be provided: Candidates will have to provide information on their family income, caste, previous qualifications, payment details, date of birth, local/non-local status etc. Date: Candidates can download TS LAWCET 2019 Admit card from 17th May 2019. Download: Candidates can download their Admit Card for TS LAWCET from the official website in the month of May by entering their Application Number and Date of Birth. Mandatory: The TS LAWCET admit card is an essential document to be carried by the candidate on the day of the TS LAWCET exam. Candidates will not be admitted for the TS LAWCET 2019 exam if they do not have the TS LAWCET admit card with them. Details on Admit card: It carries the name, roll number, personal and contact details of the candidate and is important for verification. Take a Printout: The applicants must download the TS LAWCET 2019 admit card and print it out on white paper so that the details are legibly printed, and must not write anything or damage the TS LAWCET 2019 admit card. Before printing out the TS LAWCET 2019 admit card, the applicant must verify if all the details given are correct, and contact the authorities in case of any discrepancies. TS LAWCET 2019 number of questions: TS LAWCET Exam Paper has 120 questions which consist of three parts and duration of the test is 90 minutes. Part A: Part A is General Knowledge and Mental Ability which will have 30 Questions for 30 Marks. Part B: Part B is Current Affairs which will have 30 Questions for 30 Marks. Part C: Part C is Aptitude for the Study of Law which will have 30 Questions for 60 Marks. TS PGLCET2019 number of questions: TS PGLCET Exam Paper has 120 questions which should be answered in 90 minutes and each question carries one mark. Date: The candidates are informed that TS LAWCET 2019 result will be declared on 2nd June 2019. Ranking: The Candidates will be ranked on the basis of marks obtained in the TS LAWCET 2019. Publisher: The exam conducting body will publish rank card. The Process to check: Candidates must firstly Log-on into the official website of TS LAWCET. Then, candidates must find and Click on the Link: TS LAWCET/ TS PGLCET Results in 2019. Candidates must enter Valid Hall Ticket Number. Candidates must then click on submit button. Merit list: Once the results of TS LAWCET will be announced, a merit list will be put out by Telangana State Council of Higher Education. Counselling dates: Candidates will have to appear for counselling according to the dates given out and on the basis of their TS LAWCET result and ranking. Mode: The counselling for TS LAWCET will be conducted online only. College preference: Candidates will be asked well in advance to list the colleges of their preference in the desired order. Sessions: TS LAWCET counselling will be conducted in 3 sessions before all the admissions are completed. Note: Candidates who do not complete the TS LAWCET counselling procedures on the specified date and time with the required documents will not be granted admission. What is the result announcement date for TS LAWCET 2018? TS LAWCET 2018 result will be announced on 10th June 2018. Is there any negative marking in TS LAWCET 2018? Is there any negative marking in TS LAWCET 2018? What is the exam pattern? No, There is no negative marking for TS LAWCET 2018. To know detailed exam pattern, click here. Can I apply for TS LAWCET 2018 after completing my B.Tech? If you have done B.Tech from a recognised university and scored 45% marks or above then you are eligible to appear for TS LAWCET 2018. Click here to know about TS LAWCET eligibility criteria. Which is the best books for the preparation of TS LAWCET? Which is the best books for the preparation of TS LAWCET 2018? Click here to know about other reference books for TS LAWCET. Why is the TS LAWCET exam conducted? The Telangana State Law Common Entrance Test (TS LAWCET) is conducted for admission to 3-year or 5-year LLB regular courses and LLM courses in various law institutes in Telangana. Who conducts the TS LAWCET exam? The TS LAWCET exam is conducted by the Convener of Kakatiya University, Warangal on behalf of the Telangana State Council of Higher Education (TSCHE). What are the documents needed for TS LAWCET counselling? Where can I get the details of TS LAWCET? All the updates related to TS LAWCET will be available on the official website. Any changes in the exam pattern or declaration about exam form, results - the candidates will be notified through the official website. Which are the colleges accepting the scores of TS LAWCET?